Sons of the Sphinx - "An imaginative yet historical retelling of King Tut’s full life story"
Armed with what she considers her grandmother’s curse, 15-year-old Rosa agrees to help the ghost of King Tut find his lost queen Hesena. Though Hesena’s ba inhabits part of Rosa, finding the whole spirit of Hesena so that she and Tut can be together for the first time in over 3000 years proves to be a harder task than Rosa first thinks. Thrust back into Ancient Egypt with Tut, Rosa discovers that finding Hesena is not all she must do. She must keep out of the reach of the living Horemheb - who crosses mortal boundaries using Seth’s evil magic - if she is to stay alive to make it back home. I loved this book! Think Agatha Christie meets Sherlock Holmes and you're got it. Loved the Olde English charm from the setting of the book to the characters. The author grabs you from the first page. The author takes you to a country home in Surrey, where Witton Park is located. It is a elegant home owned by Walter Sinnet, a not so nice man who has made his fortune by conning everyone around him. He has built this estate to be extremely lavish with man made lakes and an underwater folly smoking room. The Sinnet's are having a party with some interesting guests, one of which will be his demise. 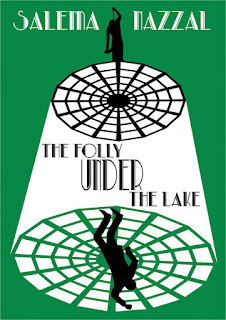 Everyone is a suspect when Walter is found floating above his own folly dead. Who would want him dead? The better question should be who wouldn't want him dead. All the guests have a reason to want him dead, even his wife. Yikes! In comes Inspector Marcus Thomas and the bumbling Constable Turner. They are there to try and figure out what is going on at the estate. Inspector Thomas's son James even tries to get in on the action since he is off school. Will they be able to flush out the killer before he or she leaves Witton Park scott free??? This book gives you a great mystery and who dunit as well as a fun adventure full of twists and turns. I didn't know who the killer was till the very end! I was shocked. This is a must read. Having always had a love for English, Salema qualified to teach it as a foreign language and then went abroad to work in Lebanon. She taught adults at a language centre and eventually ended up helping at a school on the site of an orphanage where she met her husband. She wrote about the plight of the orphans and the article was published in the centre-spread of a Christian newspaper. Salema has been obsessed with whodunits since she was a teenager and was challenged to write her own by her sister Jess. Not knowing where to start she took herself off to college to do a crime writing course with published crime authors Lesley Thomson and Elly Griffiths and hasn’t looked back since. She currently lives in West Sussex where she takes care of her husband, two children and two cats (not necessarily in that order!). Summary: Is your child a good listener? Rosemary is a little girl who is worried about returning to school after her teacher warns the class that they would soon have some mice, spiders, and webs in the classroom. Could Rosemary have misunderstood something? How can mice and spiders and webs belong at school? Full of "Computer Speak," this story introduces young readers to basic computer terms in a delightful way! See if your child can discover the mystery of the misunderstood words, and learn about the fun of computers with Rosemary. I will admit that I am not a huge action novel reader, so I may have started out with less enthusiasm than your average reader. I was in it for the bikes. However, after getting to know the characters in the introductory chapters, I was eager to see what would unfold. 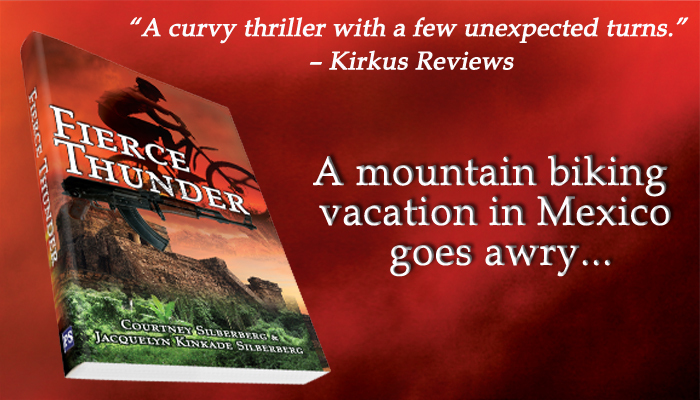 Fierce Thunder reads like an action movie--you can't help but envision the adventures. By the time the characters were deep in the forest of Mexico I was tempted to make myself some popcorn 'cause I knew I wasn't going to be able to put the book down until I finished. Jackie and Courtney's experience in the movie biz has obviously given them the ability to grab people hook line and sinker. Great characters making tough choices in a jungle filled with danger....ON BIKES! What could be better? *'Mountain Bike for Her' is an online mountain bike magazine for women! 'Finn's Rocket: A Surfer Catches Air' by Serena Schreiber. "A well-paced, funny and highly infectious read!" Finn's summer vacation plans didn't include leaving the planet. When his little sister gets kidnapped from space camp, Finn will do anything and go anywhere to get her back. Even the international space station. In Keeper, book four of the Seed Savers series, friends Clare and Lily reunite, Trinia Nelson schemes to maintain control of the food supply, and the Seed Savers Movement is on the verge of splitting into factions. As James Gardener works to keep Seed Savers from splintering, Lily, Clare, & Dante become reckless and begin sneaking out of their hidden safe house. Will their desire to meet with an old friend lead to forgiveness, or will it end in betrayal leaving the Seed Savers Movement in jeopardy? Summary: Seven authors, seven new tales to twang your heartstrings as you snuggle up cosy and warm during the long winter nights. Will the Christmas fairy be ready to grant your wishes? Will Shirley Link solve all the clues to her presents? Will a keen inventor steal the heart of a lady? Will another lady have her life saved by a horse? And will Santa's reindeer, a lost and forlorn hero, and a boy under the spell of a wicked witch find their way home when they are left out in the cold at midwinter? Find out in this second anthology from the MG BookElves, a selection that older children will love, and adults will enjoy reading to younger children. Noises in their room that are not the cat. A broken shoelace repairs all by itself. Clothes are put in the hamper on their own. The brothers want to share their weird experiences, but they don’t know if they can trust each other. But when they find out who’s behind all the strange things around the house, they are called to battle. Battle? Whoa! Right there in the forest by their house! A battle with the most unusual creatures and wildest of beasts. And when the battle turns more dangerous than they imagined, Landon and Broden must face their fears, put their grudges aside and learn how to work together. These are the worst words Broden could hear from his big brother Landon—just one day after they battled alongside Slade’s Ifs and his army of forest beasts. Sure, the brothers had learned to work together to fight and capture the evil If Gage. But, now, Slade has informed them that Gage has escaped! What kind of magic? Will he use it against them? As the boys are drawn into yet more adventure with the Ifs, they find out just how powerful, and dangerous, Gage’s magic can be. 'Twas December 24th, and three brave knights were just settling in for the night when out on the drawbridge, there arose such a clatter! The knights try everything to get rid of this unknown invader (Santa Claus! ), a red and white knight with a fleet of dragons . . .
he just would not go! This parody of Clement Clarke Moore's well-known poem 'Twas the Night Before Christmas is kid-friendly, clever, and just plain silly. Sure to become a holiday classic of a different kind! 12-year-old Elena Barrios' father has AIDS, a new disease in 1991 with a 100% fatality rate. Rather than face certain ridicule and ostracism, Elena tells her friends anything but the truth, fabricating stories about her father being a writer and researcher. But the reality is that Elena resents her father’s illness and can’t face the fact that he is dying. When she is befriended by a woman named Ang who tells stories about her own father, Elena is transported into these stories, allowing her to experience them first hand. With Ang's help, Elena gains the courage to stand up to the bully at her school, mend her relationship with her father, and finally say goodbye. Summary: "Bash and Lucy," whose authors were featured on the "Today Show," is a Mom's Choice Silver Award Winner, and Finalist, 2013 USA Best Book Awards. In this contemporary boy-and-dog tale, talkative Bash has a big problem in soccer: His beloved dog, Lucy, is a pro at nabbing the ball, but sometimes at the wrong moment. Coach wants to ban Lucy from soccer practice and games, separating Bash from a companion who boosts his confidence in sports--and life. In this picture book for kids age 4-8, Bash and friends help Coach understand that with Lucy by their side, they feel more confident, laugh more often, and are comforted when they make mistakes. Multi-millionaire, oil speculator Walter Sinnet is crooked and ruthless. He has swindled the investors in his company to fund his extravagant building projects. Walter has a vast lake and subterranean folly built on his property at Witton Park, where he lives with his wife Blanche and two adult children Harry and Rose. The folly is impressive, people can walk through a passage that goes under the lake and enter the folly to sit and watch the fish swim by. Wishing to show off, Walter welcomes a house party to Witton Park but an angry storm lashes down on the village and traps everyone inside the estate. 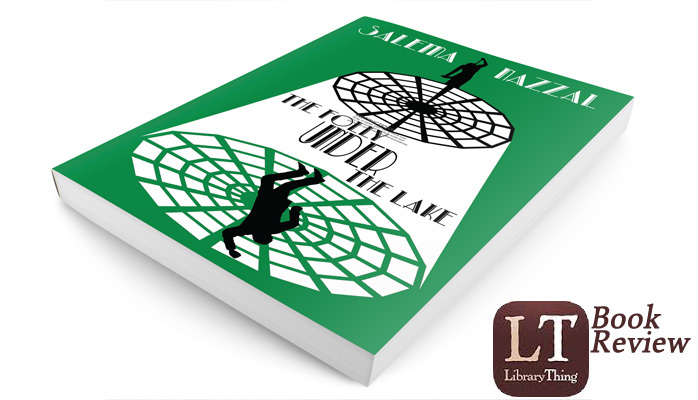 A guest’s jewellery goes missing and a dead body is found floating in the lake. Inspector Marcus Thomas and his young son, along with bumbling sidekick Constable Turner, arrive at Witton Park to solve the mystery. The vital clues are there for them to detect - if they are up to it! A little curiosity never hurt anyone, right? When Jim ditches his little sister to search for a haunted cabin, he gets time-traveled nearly 200 years into the past - right into the middle of a swindler's cover-up. The criminals have murder on their minds now, but Jim is trapped in time. Hannah's life of family and farm chores is turned upside down when a boy in strange clothes suddenly appears in the old trapper's cabin. Should she believe his wild tale? And how much will she risk to lay a friend's ghost to rest? Jim and Hannah struggle to unmask a thief and solve a murder, but it will take all their courage and wits, plus the rocket motors in Jim's pocket, just to stay alive. If you love time-travel, mysteries and the olden days, start reading THROUGH THE SHIMMER OF TIME now. Summary: This is a story of a lone fox and his journey through a year of changing seasons. He discovers friendship and family in this colorful winter tale. Also check out Lil Glimmer, The Nutt Family: An Acorny Adventure, The Pig Princess, The Bee Bully, Eager Eaglets: Birds of Play, Cactus Charlie, Suzy Snowflake, Monsters Have Mommies, The Christmas Owl, The Cat Who Lost His Meow, Caterpillar Shoes & Ten Thankful Turkeys by this author.